The end of summer is in sight and everything is starting afresh. It might sound odd, but Autumn always feels like the start of something new to me. Certainly, it’s the time of year when my thoughts turn to what to show a new intake of students. Some things don’t change much of course, but there are always works I’ve come across recently (many of them probably written about here already) or things I know well but now want to talk about differently. I’ll need to get my art history hat on pretty soon but before that I get to show a random selection of art to help get some ideas going and, with luck, defy a few expectations and destroy some preconceptions. 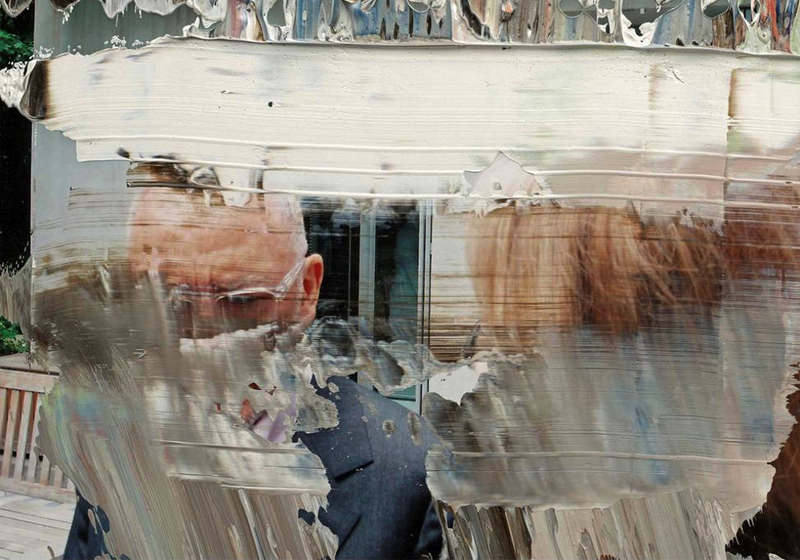 All of which means that in a way I’m quite surprised to find myself trawling through Gerhard Richter’s Overpainted Photographs, but it’s a body of work that somehow always seems relevant. Richter has been making Overpainted Photographs since about the mid-1980s and though in a way the images and the way they are made seem almost too simple, this is a body of work that nonetheless interests me greatly. 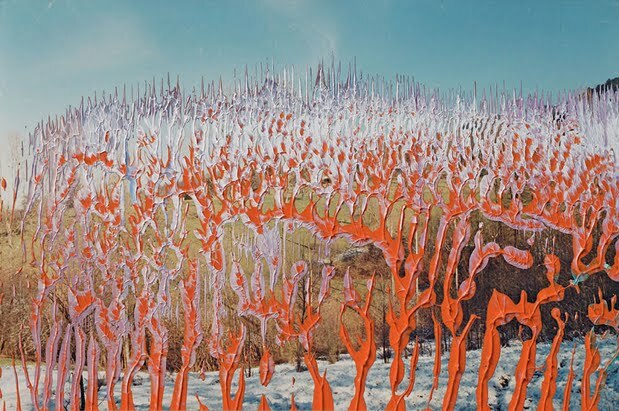 Given the symbiotic relationship between painting and photography, these images – which physically bring the two media together, rather than allowing one to feed the other – which could so easily feel like something churned out, start instead to seem like an unexpectedly significant exploration of image-making. The subject matter of the photographs seems almost random. On Richter’s website they are grouped together in ten categories (such as family, people, rural landscapes, water scenes etc) but there’s an arbitrariness about the photographic subject matter. 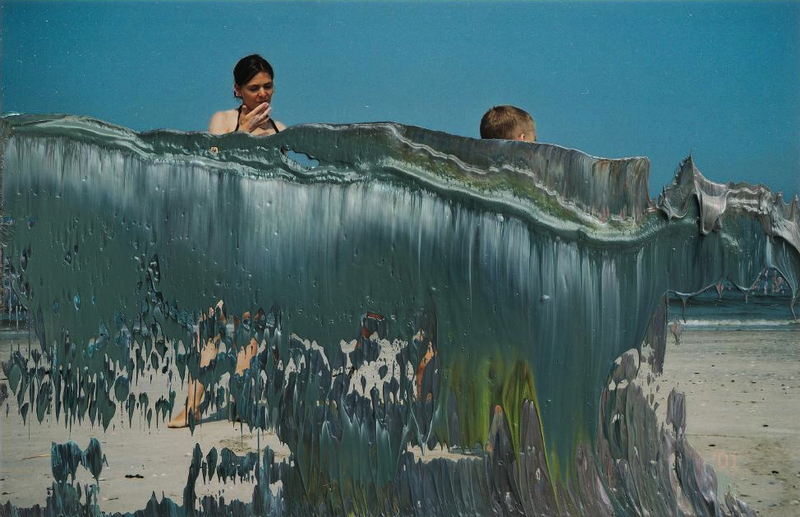 Essentially, like many of the images Richter gathers, these are snapshots. It’s the intervention with paint that makes them interesting. From the start, photography encroached on painting’s territory but, in freeing painting and drawing from the responsibility to record, arguably photography helped pave the way for abstraction. In the Overpainted Photographs, Richter is allowing painting to reclaim territory from photography, disrupting the frame and veiling the image in a layer of abstraction. 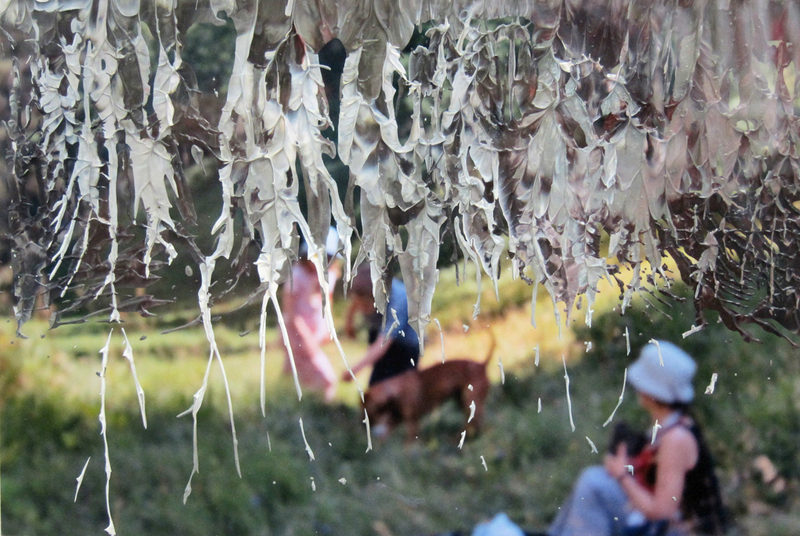 What works for me about the series is the balance between the paint and the photograph beneath it. There are works in the series where the two seem to work together and others where they fight for primacy. The act of adding paint is a simple gesture but somehow Richter uses it to add a layer of complexity to the image. We are left with hints about the photographs and can, to an extent, imagine the gestures used to obscure them – certainly the texture of the paint offers clues – but piecing together the evidence provides a tantalisingly incomplete picture. For me, the work is all the stronger for that. This entry was posted in Painting, Photography and tagged abstract, art, Gerhard Richter, Overpainted Photographs, painting, photography, process by Ann Jones. Bookmark the permalink.